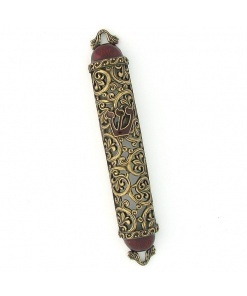 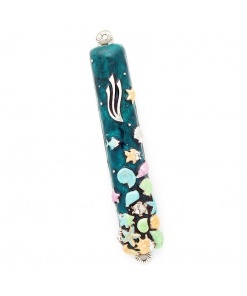 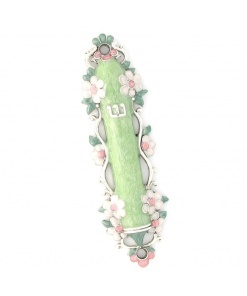 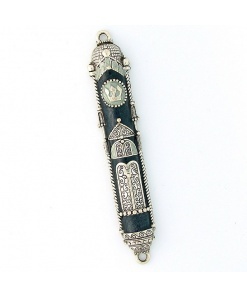 This Mezuzah casing is the creation of Ester Shahaf and is individually hand crafted using pewter, silver, brass and Swarovski crystals. 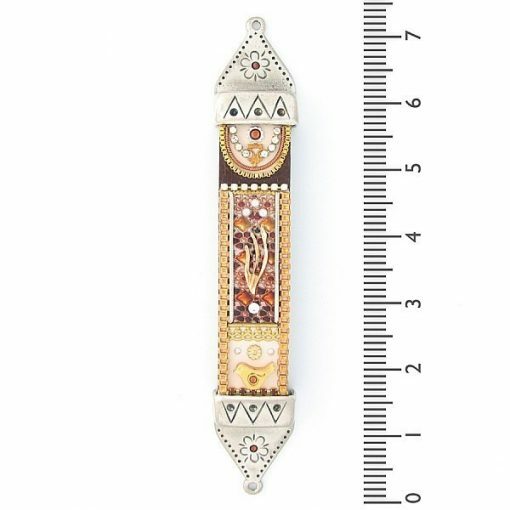 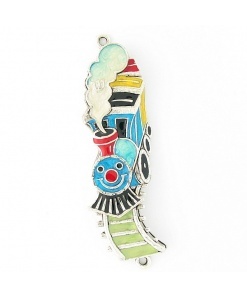 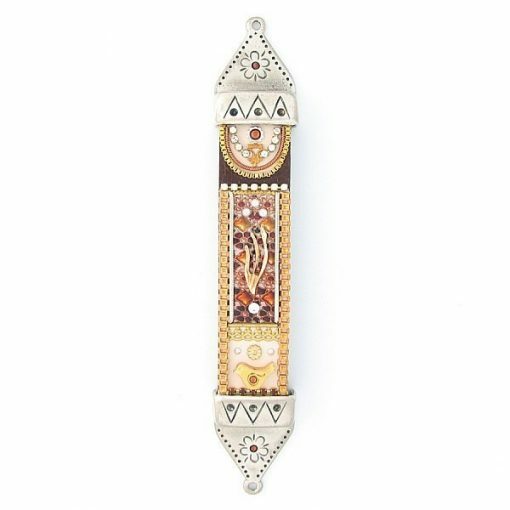 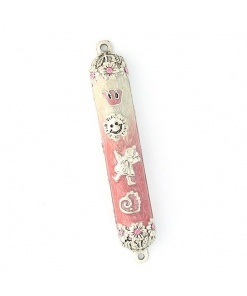 Made in Israel, this Mezuzah represents a combination of Mediterranean and modern styles and brings up in color and style all the exotic heritage that makes this land and people so enchanting. 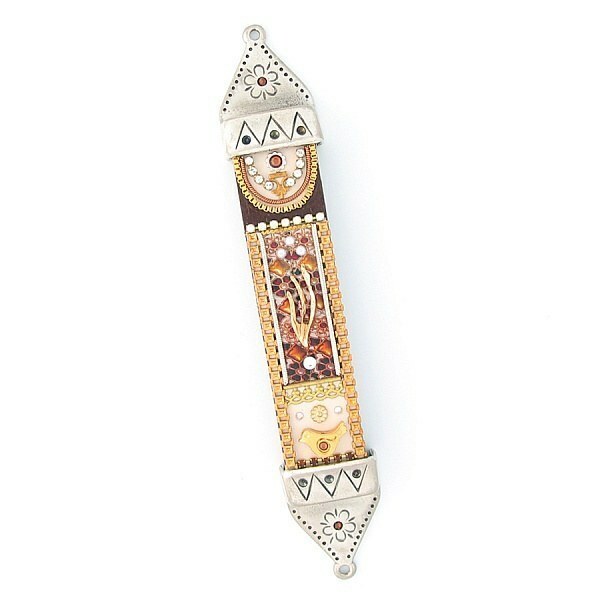 ~ The soft and warm wood blends with the clean, smooth metal, and is enhanced by the shiny crystals resting on satin vivid colors. 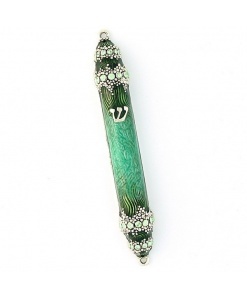 ~ Many similar pieces by Ester Shahaf Judaica creations are displayed in museum shops and top art shops in Israel and the United States.